Nothing says Summer like a fresh salad. 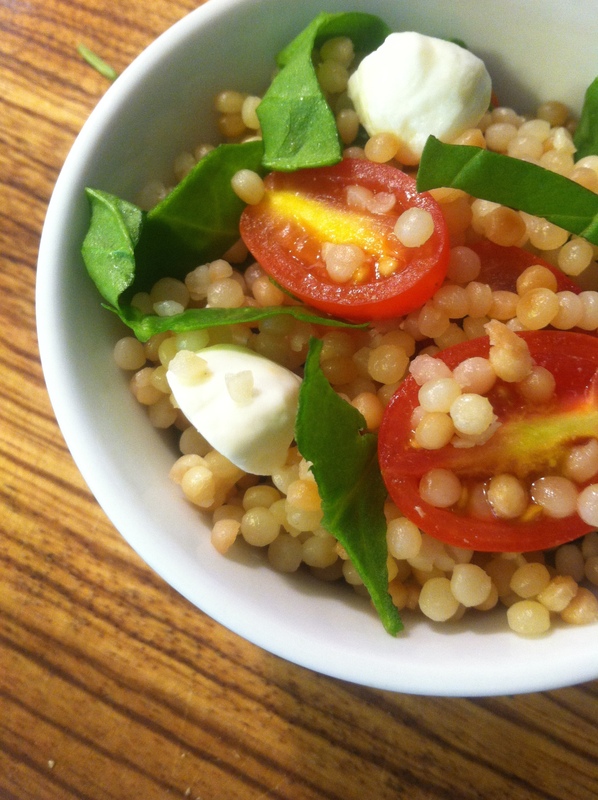 Tomato, mozz, basil….stir it up and throw it with some couscous. I am learning how to rely less on recipes and trust more my own judgement. This is why I am giving you ingredients and letting you figure your proportions out. We all have different tastes so unless your baking, and needing precision, I think it’s ok to experiment. Israeli coucous cooked according to package directions. That’s it! Super easy salad for a summer BBQ or side dish.